If you’re afraid of spiders, look away now, because Leonid An built a particularly nasty one! 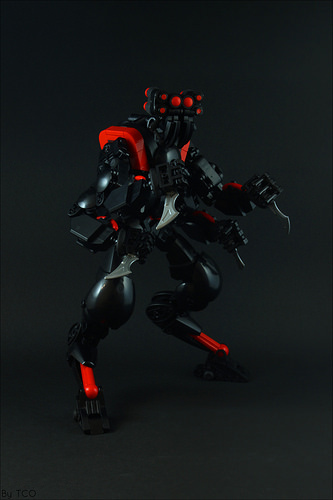 This evil-looking mech combines arachnid and humanoid motives as it combines system and Bionicle parts from a technical viewpoint. 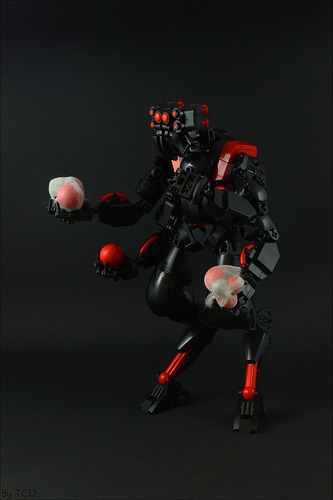 The careful use of red as eyes and colour accents throughout the body gives a very believable impression. I especially love all the creepy little extremities on its head, as they round it off nicely and give it a complete and realistic look. 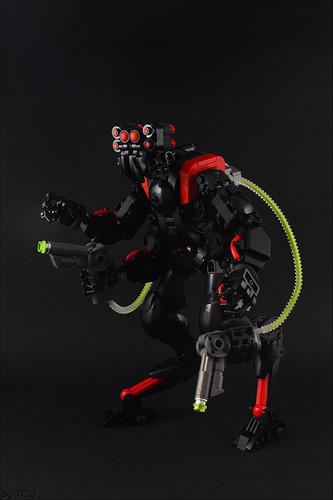 The pistols with translucent green hoses connecting them to a back container are just one of multiple weapons Leonid gave this creepy character. Seems most of the difficulty was viewing it on a mobile version of the site – at home on the laptop, it comes through clearly. Carry on!